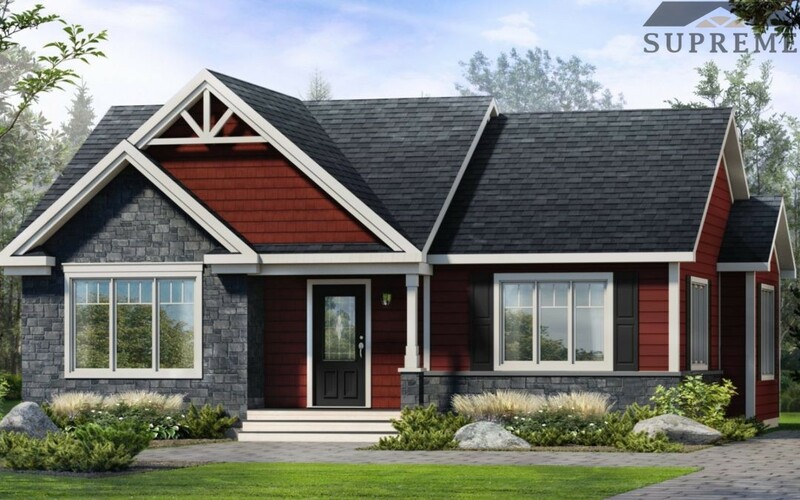 If you think that curb appeal and a marvelous interior trumps extra square footage, then the Grand-Pré is the house for you. This home packs a lot of punch into it’s 1109 square feet. A spacious closed entry offers privacy while keeping the house warm in the colder seasons. The open-concept plan and the trendy kitchen are perfect for receiving friends and family. Washer and dryer are conveniently located on the main floor in a spacious 4 piece bathroom, and the bedrooms are sized just right. As an added bonus, the Master Suite has a walk-in closet.